This morning T announced that he wanted to go out on his trike for a walk, for the past 2 days it's been quite warm but raining all day and so we've spent a lot of time indoors, so I was very happy to get out, even if it was very cold. 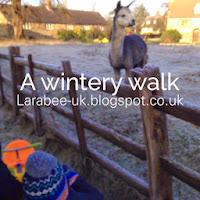 Once we'd wrapped up warm, we set out. 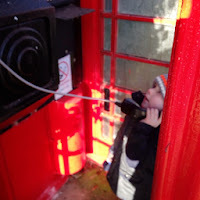 T wanted to stop and look at everything! What's that???? (a frozen puddle) Can I stand on it? Well when I said yes, he said he didn't want to as I didn't want him to fall over! 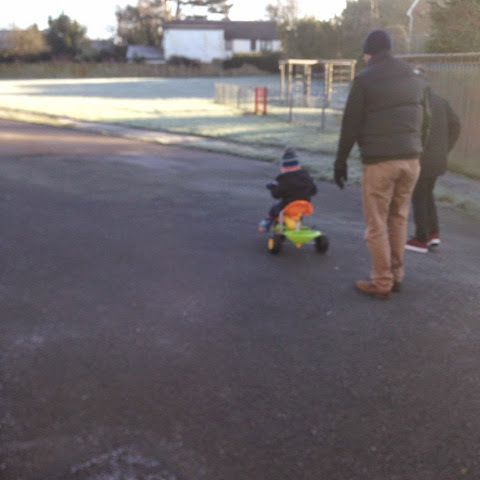 We stopped off for a little trike practice round the park car-park, although T seems to bomb around on a trike at nursery, he seems to struggle on his trike for some reason. 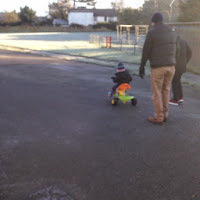 Although he loves going out on his balance bike or scooter, I still think he needs a little pedal practice so that he wont struggle when he moves on to a pedal bike in the summer, so we'll continue to work on it. 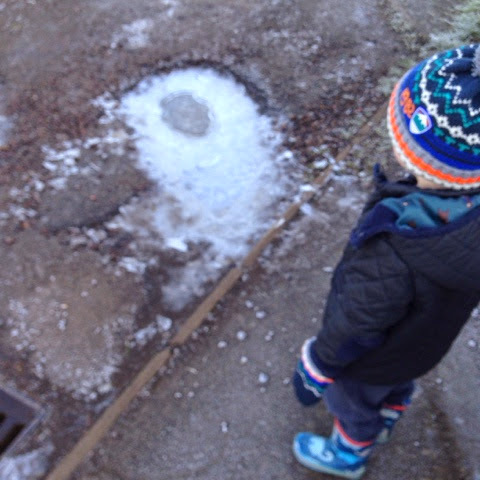 We inspected the frozen spiders webs which looked beautiful. 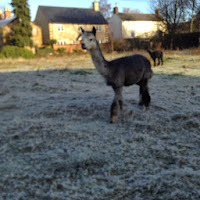 We took a little walk over to see the alpaca's, T wanted to know why they were not cold and don't need to wear a hat! I love how he's really observing and questioning his surroundings now. We are lucky enough to still have a working red telephone box in the village, T has been fascinated by it ever since our visit to the museum in the summer, so we had to stop for our obligatory 'phone call'! 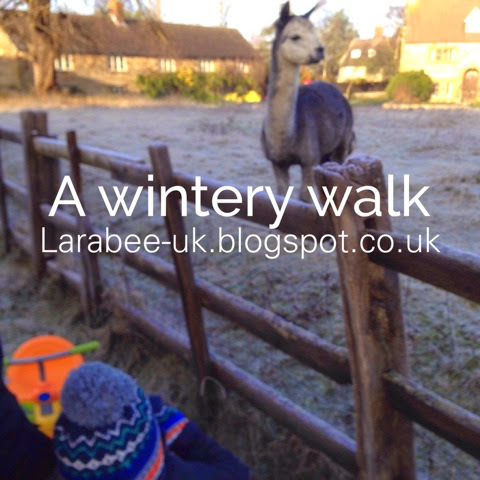 What a lovely wintery walk. It's wonderful the way he wants to explore and question everything. 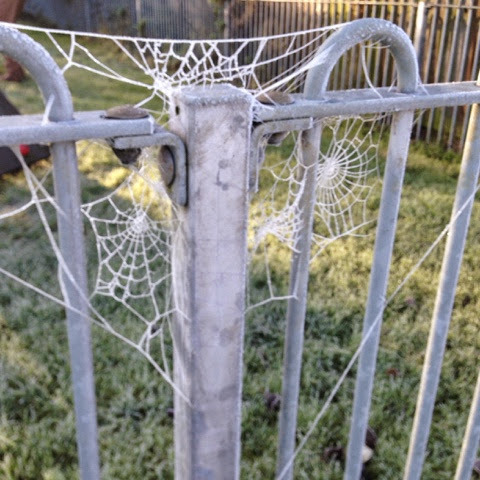 Beautiful frosty spiders webs too. 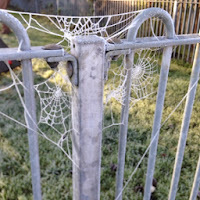 What a great post, those frosty spiders webs look really interesting. It's great that T is so inquisitive and enjoys spending the day outside getting fresh air. 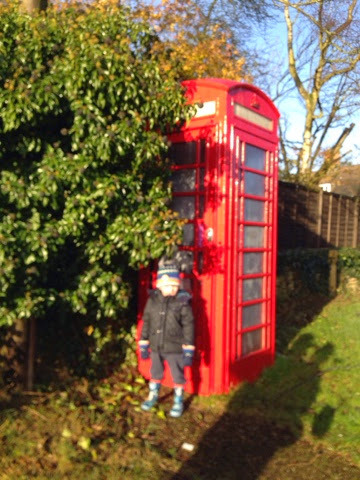 The red phone box here is always interesting to the kids who've never seen them nowadays so it's great that T gets to experience that at home. Thanks for linking up with Country Kids. Thanks Fiona, didn't think we'd be able to get outside this weekend but so glad we managed it! Thanks for hosting my favourite linky! Ohhhhh i love frosty cobwebs! I think they are just so beautiful.